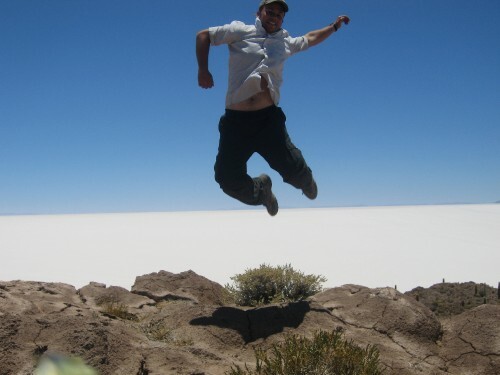 Just in Potosi for a day so didn´t bother taking any photos- this is me in Uyuni jumping up. 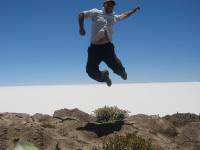 Potosi is very high also (4.1 kilometres straight up in the sky!) and is the highest city in the world. I just enjoyed chilling out and booked into a nice hostel with private bathroom and cable TV.